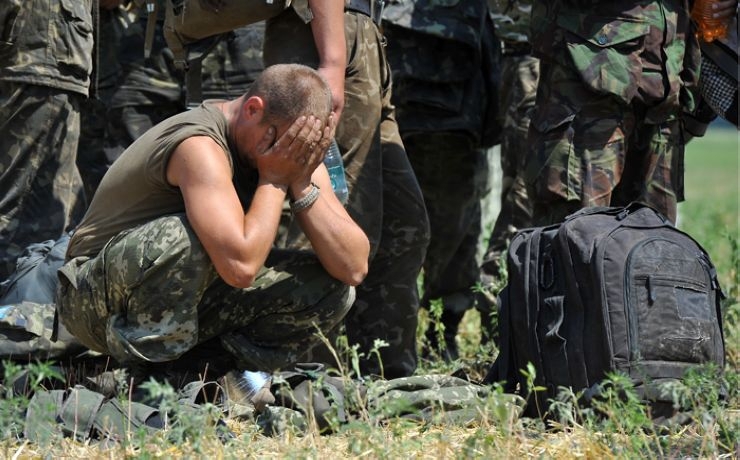 Eleven fighters of the Ukrainian military, participants in the 2014 battle of Ilovaisk are still in captivity of Russian mercenaries. Oleksiy Nozdrachev, the head of the Civil and Military Cooperation Department of Ukraine's Armed Forces said that at a press conference in Kyiv - as quoted by Interfax news agency. 'We know that 128 people ened up in captivity. If I'm not mistaken, eleven servicemen and Interior Ministry workers who participated in Ilovaisk are so far in captivity', Nozdrachev said. He added that currently, 84 people are considered missing in action. That includes bodies and body parts that so far cannot be recognized. According to the official, 366 fighters of government forces deceased in the battle; 150 of them served with the Ukrainian army. Earlier, military prosecutor's office confirmed that 429 fighters were wounded in action; hundreds have gone missing. Ilovaisk, currently held by the Russian militants, is located in Donetsk sector of the combat area in eastern Ukraine. In middle August 2014, it was under control of the Ukrainian troops. In late August, Ukrainian forces - the army, the volunteer battalions of the Interior Ministry, the National Guard and others - engaged the enemy, as pro-Kremlin mercenaries and the regular Russian troops went for a major attack to reclaim the city. Soon after the units of the regular Russian army arrived (August 23-24, 2014, - 112 International), Ukrainian troops ended up in a trap, surrounded by the enemy. On August 29, Russian leader Putin asked the militants to let Ukrainian soldiers out, leaving a corridor for them - on the condition that they leave disarmed. On August 30, the government troops began to move out, but the militants attacked them, killing and wounding many people. The battle of Ilovaisk became one of the bloodiest fights and one of the bitterest losses of the Ukrainian military in the ongoing Donbas conflict.